Prominent & Leading Manufacturer from Vizianagaram, we offer profiled polycarbonate sheets, polycarbonate sheets, embossed textured polycarbonate sheets, polycarbonate roofing sheets, opal white polycarbonate sheets and polycarbonate plain sheet. 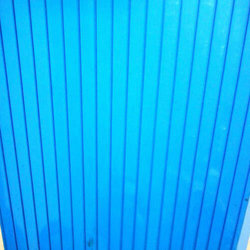 Profiled Polycarbonate Sheets are an excellent Roof glazing and cladding material with remarkable properties and performance making them one of the ideal choices for the natural light transmitting for Roof glazing, Skylights, Pathways, Bus shelters, Shopping Archades, Canopies, Partitions, Greenhouses, Industrial glazing etc. We offer a wide range of quality Polycarbonate Sheets which are used in various applications such as air ports, railways, hotels, restaurants, offices and hospitals etc. These sheets are well known for long durability and effective in application. These are easy and less maintained. These sheets are embossed and are made up of fiber. We offer them at competitive prices at international standard. We offer these sheets which are made by using high grade raw material source from significant dealers. We are the renowned manufacturer and supplier of the Embossed / Textured Polycarbonate Sheets. 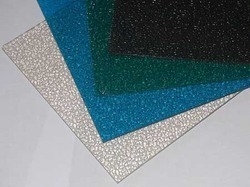 We provide the solid polycarbonate sheets with a texture on one surface. We apply texturing for the purpose to provide light diffusion and prevent see-through vision as deemed necessary for a variety of applications. Polycarbonate Roofing Sheets are environment-friendly and economical to use. In addition, these are mechanically strong, light weight, impact resistant and practically unbreakable. 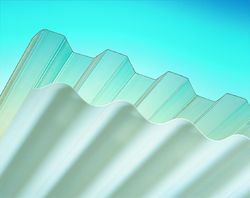 Polycarbonate Sheets are provided with a protective U.V. coating on both sides to help guard against the harmful effects of the U.V. Rays of sunlight. Besides being weather proof, Polycarbonate Sheets exhibit exemplary Thermal, Acoustic and Electrical Insulation Properties. we are engaged in catering to the variegated requirements of the customers by bringing forth exclusively designed Opal White Polycarbonate Sheets. The superior-grade raw material is utilized with the aid of sophisticated machinery and cutting-edge technology to manufacture our entire range by our vendors. Before dispatching to the customers' premises, our offered sheets are properly packed in the good quality material to avoid damages. 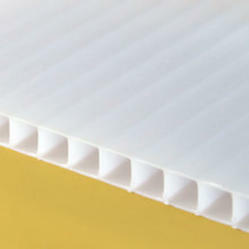 We offer Polycarbonate Plain Sheets, which have plain sides. It is widely used for diffused light transmission purposes, these sheets are manufactured using quality raw material and latest technology. 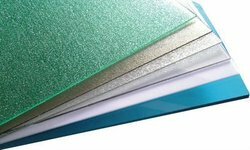 We can offer these polycarbonate plain sheets in customized as well as standard specifications as per the requirements of our clients. Backed by a diligent team of professionals, we are engaged in trading, wholesaling and supplying our client’s high quality Polycarbonate Embossed Sheet. These sheets are widely acclaimed and are highly demanded among our clients across the country, owing to their features like high tensile strength, resistant against corrosion and weather proof. 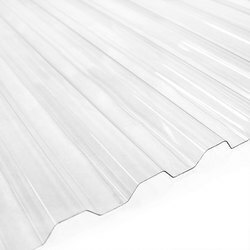 The availability of the Corrugated Polycarbonate Sheets is provided in the matching profiles to most of the contemporary corrugated roofing sheets. We customize the dimensions as per the requirements of our esteemed clients. Hence, we offer tailor-made solutions in order to select the right product and the dimensions in which it is required for a particular application. An island skylight configuration would require polycarbonate corrugated sheets in dimensions identical to the corrugated roofing sheets. 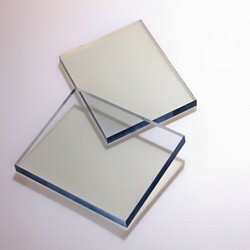 We are the well-known manufacturer and supplier of the Compact Transparent Polycarbonate Sheets. We manufacture our product with the superior quality of raw materials sourced from our reliable vendors. These are solid polycarbonate sheets which are available in clear and tinted variants. 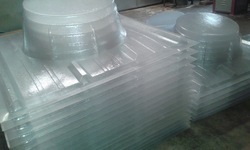 We are the leading manufacturers of Polycarbonate Ventilator Base Plate. We are the leading manufacturers of Poly-carbonate Corrugated Sheet. 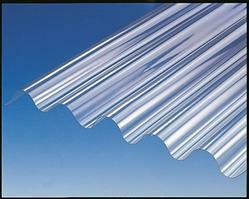 Looking for Polycarbonate Sheets ?